Pantograph EMUs': Electric Multiple Units powered by Overhead Line Equipment. Dependencies: Dependencies that can be externally added to certain rolling stock. Electric Multiple Units powered by Overhead Line Equipment. 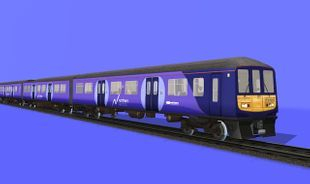 Description: WAGN started repainting their Class 317/5s in 2001 and gradually introduced on all units. The last unit was repainted in 2004. 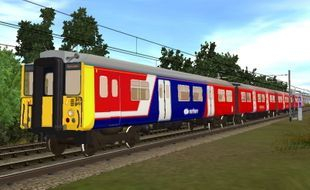 This livery lasted until 2006 when the Great Northern franchise, went to Thameslink and the Great Eastern franchise went to National Express. 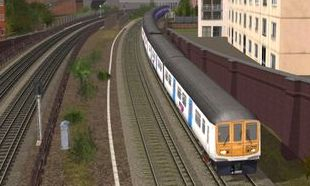 Description: WAGN started to refurbish its Class 317/6 fleet in 1998. This livery lasted well past WAGN's demise, when the last 317 was repainted into Greater Anglia livery in 2012. 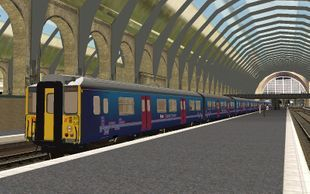 Description: A Class 317/5 in the standard National Express Corporate livery, similar to that applied to their coaches. 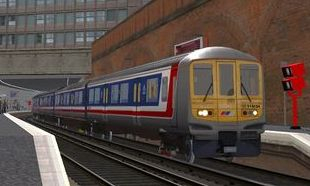 Description: A Class 317/6 in ex ONE Livery, with additional white stripe. 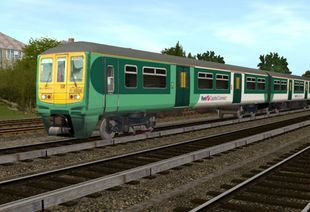 Description: Class 317/1 in First Capital Connect livery, please note the reskin was done by Mightyena all credit to him. 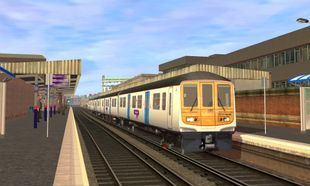 Description: Class 319/0 in original Network Southeast livery as introduced in 1987, the Class 319/0s remained in this condition until 1997 - 1998 upon refurbishment by Thameslink and Connex South Central. 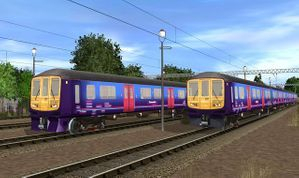 Description: Class 319 in First Capital Connect livery. 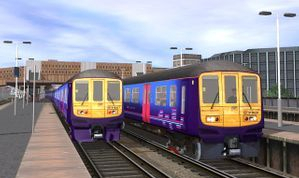 I've represented the two most numerous Class 319 subclasses in the First Capital Connect fleet. 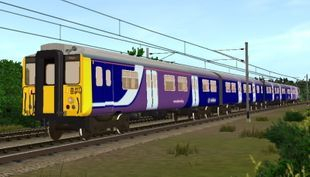 Description: Northern Rail took delivery of 20 class 319/3s in 2015, that had been displaced by Class 387s from Thameslink duties, to operate recently electrified lines in the North West. 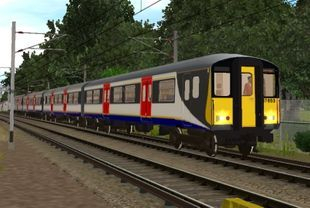 Description: 13 Class 319s operated for Southern on Outer Suburban services and on the Brighton express services up until 2008 when they were replaced by Class 377s, they were subsequently transfered to FCC Thameslink. 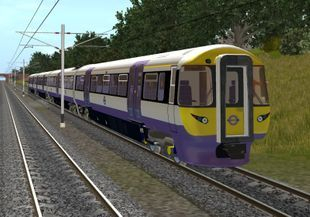 Description: The 13 Class 319s that were in service with Southern were transfered to FCC in 2008, meaning the full fleet of Class 319s were once again operating Thameslink services. 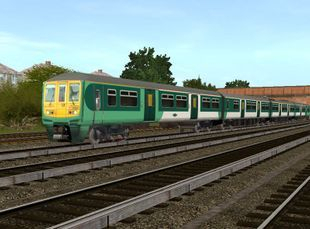 The Ex Southern Class 319s retain their livery to this present day. 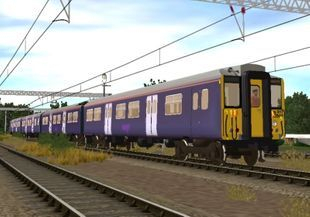 Description: WEN's Class 477, reclassified as Class 344 due to the removal of the third rail equipment. 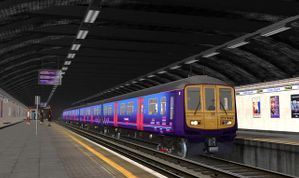 In the planned Crossrail livery scheme. 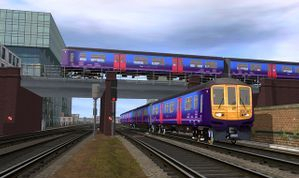 Dependencies that can be externally added to certain rolling stock. Description: Cab Interior suitable for Classes 313/314/315/507 and 508.